As the curtains were drawn off the countless amazing exhibits at CES 2016, this particular display showed us exactly why you should be excited about the Samsung smart fridge. 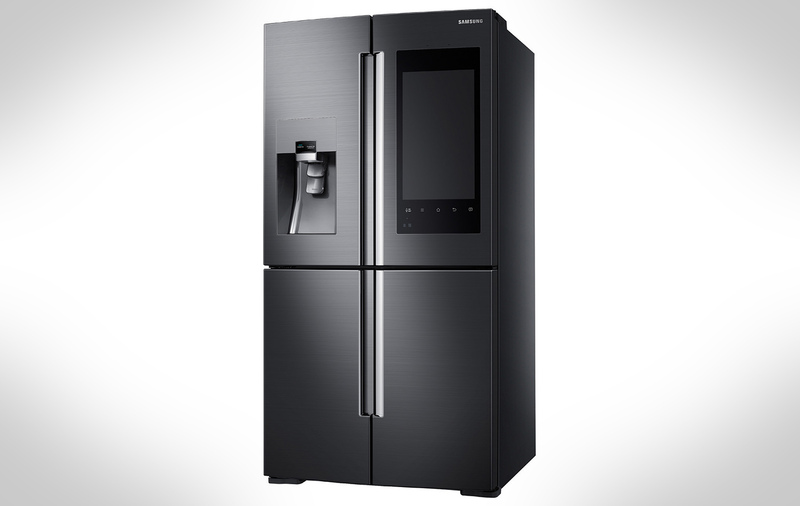 More academically named the Family Hub refrigerator, the appliance is downright intriguing. And yet, one may stop to ask themselves why anyone would ever need it. The reason the Family Hub refrigerator can be considered a smart fridge is most likely its 21.5 inch 1080p display that it features on its door along with the several cameras and sensors that you can find inside. Thanks to the cameras, you’ll always be able to see and know exactly what you have inside your fridge without opening the door. And why would anyone need that, you ask? Imagine you’re out shopping and you forgot to check whether you still have eggs left or not. Yes, pretty much something along those lines. But that’s not all there is to it. The fridge will be powered by what seems to be an Android operating system and will do a lot more than just showing you its contents. Allegedly, it will be able to tell you by itself what you need to buy or how much you have left of a particular food. Also, say goodbye to magnets and sticky notes and you will be able to simply leave notes for your family directly on the gigantic display instead. One will think that the kid’s drawings will be missed but I’m positive that there will be some doodle app for that too. Samsung also said that the fridge will be equipped with speakers that can play the music of your regular entertainment center straight from your appliance while you cook. Naturally, the Samsung Family Hub refrigerator will sync with your smartphone, thus allowing you an extensive amount of grocery organizing, home tasks and memos. And we’ve kept the best feature for last: according to Samsung you will be able to use the refrigerator to do online grocery shopping by using your credit cards, compile shopping lists, share them to devices synced to the fridge (why call your husband to tell him what to get when you can easily just send him a perfectly clear list of what is missing?) and even manage recipes. Sadly, however, there’s no telling when Samsung will be releasing this technological marvel for our kitchens. The only thing that the CES 2016 exhibit has managed to find out about the Family Hub refrigerator is that it will most likely be launched in Korea before any other markets. Considering that the appliance basically incorporates a gigantic HD display as well as the 3 cameras inside and the multiple sensors, we shouldn’t expect it to come in cheap either.